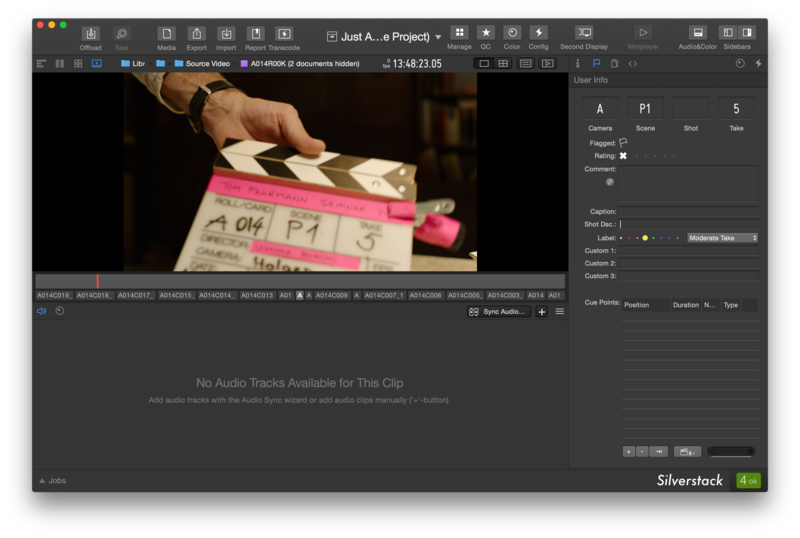 Silverstack XT and Silverstack Lab offer functionality to manually sync audio clips to video clips. 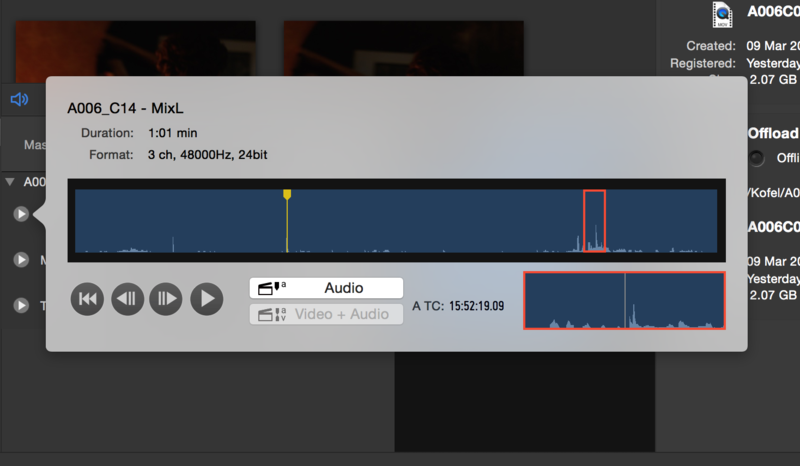 The process of manually syncing audio in Silverstack is divided into two basic steps: matching the according audio clip to a video clip, and subsequently syncing the audio and video clip at the right position. 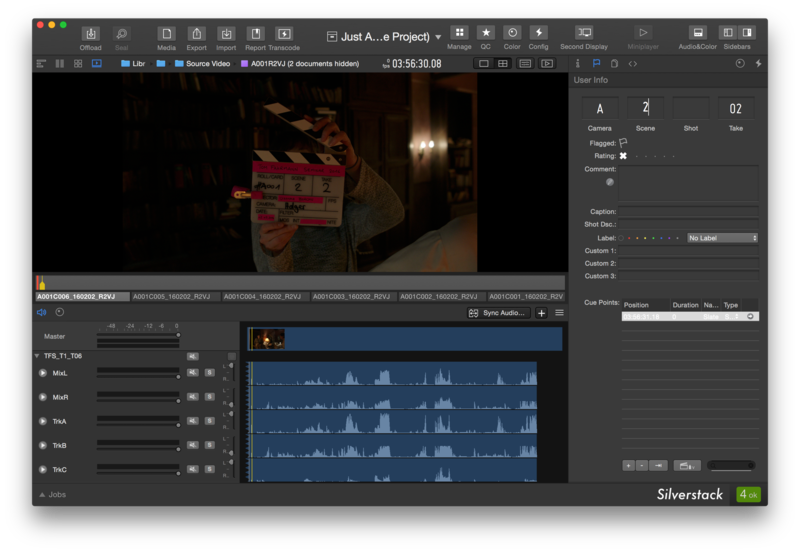 The basic idea of the sync at the right position bases on the functionality of setting slate markers in the video and audio clip. By setting slate markers the user defines a sync position in both audio and video to be used to link the audio and video clips. Silverstack will automatically align the video clip and the according audio clip at the specified positions. The article will describe in detail how to set the slate markers in the UI of Silverstack to attain a sync at the intended position as well as how to move the sync position if needed. The counterpart of the manual sync is the automatic sync based on timecode that is available in Silverstack Lab. 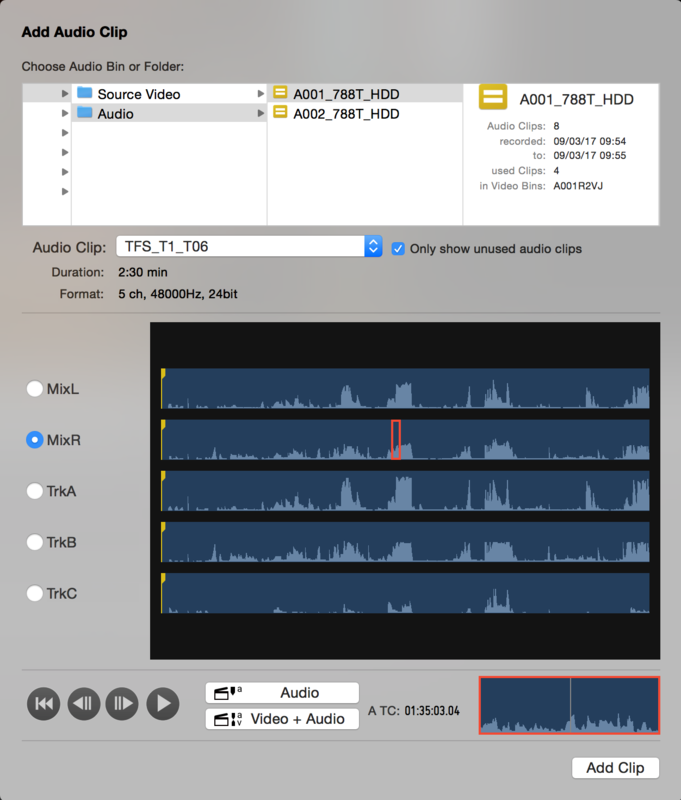 You can learn more about automatic audio sync in Silverstack Lab in the article “How to Automatically Sync Audio Based on Timecode in Silverstack Lab“. Have all needed assets available in the Silverstack Library (audio and video clips have to be available for playback). 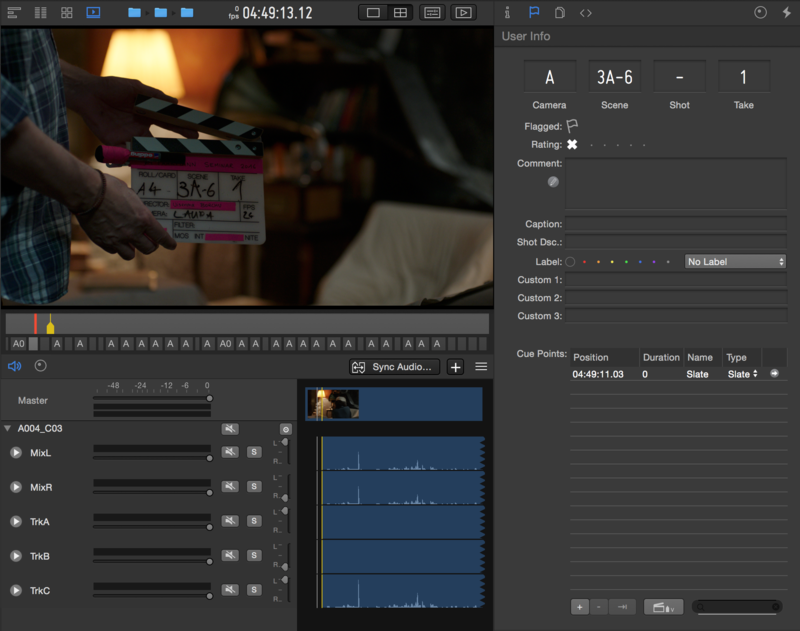 Open the video clip you want to manually sync audio in the Silverstack player and go to the frame you want to set the video slate marker (e.g. the frame where the slate visually closes). Open the “Audio&Color” panel in the lower center of the UI and switch to the audio tab (or hit the “QC” UI Layout button in the toolbar). Browse to the position of the audio clip you want to set the audio slate marker and hit the “Slate a+v: Video + Audio” button to set the slate in the video and the audio at the current position of the playheads. Click “Add Clip” to add the audio clip as external audio to the video clip and sync at the position of the slate markers. Please note: You can also set audio and video slate markers independently and in any order. Make sure to have the video clips and their according audio clips registered in the Silverstack Library. Learn about audio clips in Silverstack in the article Audio Clips in Silverstack. Fig.1: The video clip at the slate position. Move the video clip to the frame the slate goes down. If no slate is present you can choose any other significant position you want to sync to. In this example the slate will be set in the next steps together with the audio slate. It is also possible to already set the video slate at this point. Read more about “Relocating Slate Markers” in the according section below. The audio panel can be opened by clicking the “Audio&Color” button on the right side of the toolbar. Make sure to show the audio panel (see Fig.1). The right configuration for adding manual audio clips can also be achieved by clicking the “QC” UI layout button in the toolbar (you can learn more about UI layouts in the article “UI Layouts: Quick Configurations for the Silverstack User Interface“). Select the intended audio clip from the “Audio Clip” dropdown. 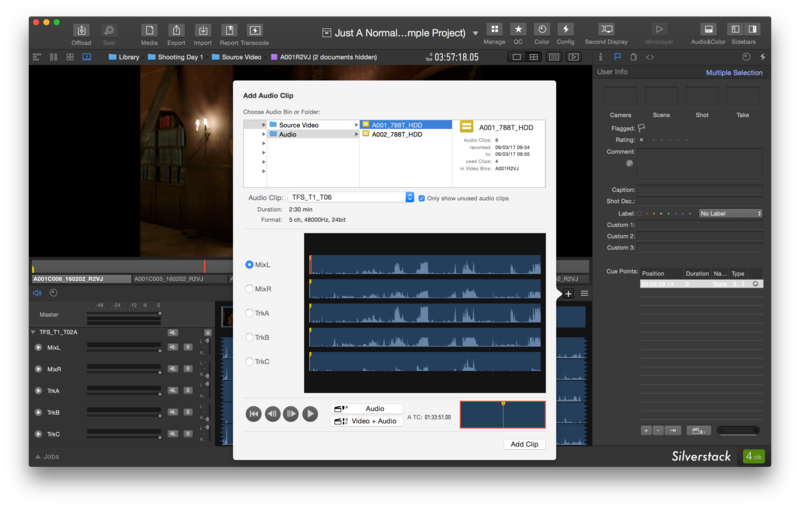 Move the playhead of the audio clips to the position you want to set the audio slate to. Click the button to set both, the audio and the video slate at the position of the according playhead. The button will set a slate only in the audio clip. Please note that a video clip that has an external audio clip assigned to it will in any case contain a slate marker. If the slate marker is not specified it will be set to the first frame of the video clip and will accordingly be used as the sync position. Now click “Add Clip”. The specified audio clip will now be added to the video clip and all tracks will now be available in the audio panel. The video and audio clip sync at their slate positions. Move the detail indicator (red box) to a new position and click the button to set the audio slate to the position indicated by the playhead in the detail view at the bottom right of the popover. Move the playhead of the video clip to a new position and click the “set video slate” button in the cue points section of the User Info tab. Alternatively you can use the shortcut Ctrl + Cmd + Enter to set the video slate marker at the current position of the playhead. Please note that the video slate marker is a special kind of cue point. You can remove the video slate marker like removing a cue point. In case of external audio existing you will not be able to remove it as a video clip will with external audio will always have a slate marker. Learn more about cue points from the article Metadata Handling: View, Organize, Add and Filter Clips. Remove: Removes the audio clip attached to the video clip. When stepping through a video clip with audio frame by frame with the arrow keys you will be able to hear audio for every frame.